Easter is coming and most travelers already think where escape to enjoy these mini vacation. Holidays promise to mobilize thousands of people and here we present the most visited destinations at this time. 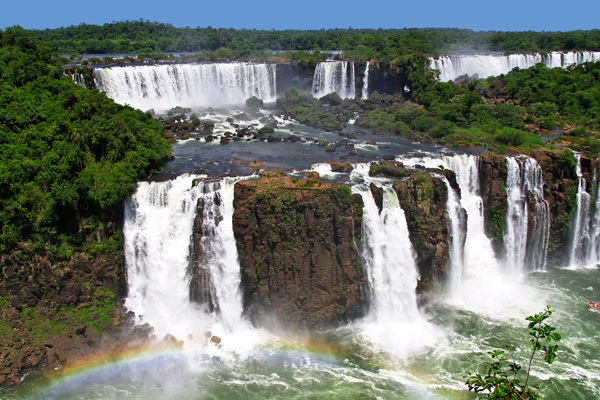 One of the favorite destinations for Easter is Iguazu Falls. It was recently named one of the 7 natural wonders of the world and is an ideal destination to visit in four days. The city used to receive tourists throughout the year, has a range of hotels and restaurants worldwide, plus several tours and excursions to make. Among the most interesting highlights the famous Garganta del Diablo, the Superior Circuit San Martin Island, Full Moon rides and the Lower Circuit. Another place chosen for travel during this recess is the beautiful city of Salta. This has numerous attractions, including historical sites stand out as the Plaza July 9, the Cathedral and the historic Cabildo. In addition, you can visit other lovely places a few kilometers from the city, such as Cafayate, Cachi, Iruya and Cabra Corral. Mendoza also appears as one of the most visited destinations at this time. Here we recommend visiting the capital city, characterized by its cultural and historical walks, gastronomic and commercial offer. Also, from here you can visit other places like San Rafael, where you can enjoy adventure tourism and tour some of the most famous wine cellars. Some travelers, on the other hand, prefer to visit Brazil and enjoy its famous beaches. Rio de Janeiro is one of the most visited places, where is the famous Christ the Redeemer. In addition, tourists can enjoy its beautiful beaches, the most famous are Copacabana and Ipanema. Finally, many people decide to take a trip with the car to the coast. Mar del Plata is the city of the Atlantic coast receives the most tourists, where you can enjoy its hotels and restaurants. Be the first to comment on "The best destinations to visit in Easter"